DS 3 Black Lézard Limited Edition is now available to order. Inspired by the latest trends in fashion and Parisian chic style, and reinforcing the unique personality that has become an appealing characteristic of DS 3. “From a style perspective we wanted to create an element of the car that would be unique in its appearance. We were inspired by the world of fashion, haute couture and leather goods to create DS 3 Black Lézard.” Thierry Metroz, DS Styling Director DS Automobiles. “The opportunity to personalise DS 3 reflects the values of the DS brand. With DS 3 Black Lézard we have fused heritage and intense style by featuring a roof that draws inspiration from the beauty of reptile skin. The 3D effect also provides a very modern look.” Eric Apode, DS Automobiles Products and Business Development VP. Attention-to-detail is a DS hallmark: the ‘Lézard’ custom texture features on the roof panel, but also on the top edges of the doors and rear spoiler too. To further enhance the elegant appearance of this distinctive vehicle, the choice of body colours includes Perla Nera Black, Platinum Grey, Ink Blue and Whisper Purple. 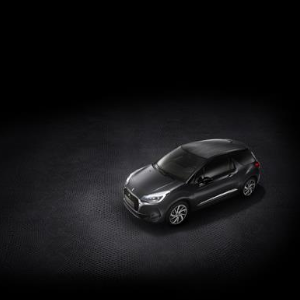 The enhanced specification includes DS LED Vision headlights, 17-inch black diamond-cut alloy wheels and gloss-black ‘A pillars’ to add to the exclusive style of DS 3 Black Lézard. The inside is adorned with Basalt Black leather upholstery and a gloss-black dashboard to complete the stylish environment.